So, how bout those Giants? Congrats to New York and good try New England. That was a heckuva game they played last night all the way down to the final second. I love a good Hail Mary play. But not everyone cared about the game itself. When I was young, I was only in it for the commercials. I admit, these days I only tend to watch playoffs and championship games. But whether you love the game or not, many come for the commercials. Maybe the halftime show. I don’t have the patience to sift through every ad and make my own countdown. I imagine you don’t have the time to sit through and read them all. That’s what Hulu is for, actually. Plus, you can find a few commercials that maybe I missed or never aired. 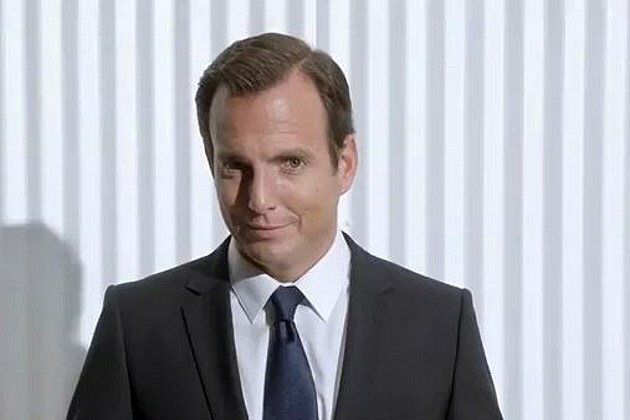 Coincidentally, Hulu, with the brilliant and hilarious help of Will Arnett, brought it yet again with awesomely funny commercials. If I had to pick a favorite, it would be from that series, specifically the first one they showed with Arnett outside the Hollywood sign spewing famous TV show catchphrases to gain access into the Hulu lab before finally yelling out one of his famous lines from Arrested Development. Yeah, that joke worked for true fans of the show, and also because it fit the situation perfectly. What I also liked about these ads is that he’s replacing Alec Baldwin (his rival on 30 Rock) who also worked as a Hulu spokesman talking about the wonderful evil that is Hulu. I think Hulu is also suggesting Baldwin and Arnett are aliens or something? I don’t know, but I love it. Follow up commercials with the lab workers voicing more famous lines (or sound effects) from past TV shows also gave me chuckles. For the past week, I kept hearing from marketing experts that these commercials might not make any money for their companies. But really, who cares? And the commercials that air are usually by companies people already familiar with and don’t really need promotions. And if they are a new company, well, people will certainly know them now. 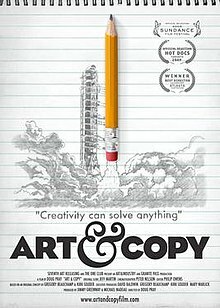 Click the pic to read my thoughts on "Art & Copy"
As someone who’s getting into the business of making commercials, I take note of how these ads are crafted (see the film Art & Copy). After the game was over, I tried to recall which ads stuck out the most to me. Hulu was one of the first, maybe because it was one of the first to air, and because of the reasons I stated earlier. Another one was from Fiat. You know, the dude who was totally entranced by this incredibly beautiful foreigner that happened to be a car? Brilliance! Probably my other favorite. How about the little boy in the pool that has to pee? I’ll credit this one to one of those ads you’ll be confused about the product even though the explanation is given at the end. It’s not a favorite but I laughed. I had to include this one from Bridgestone. Perfect for football (and the basketball, while cute and clever, was not as funny but still good). Hyundai and Chevy both had awesome commercials throughout. I think the doomsday would possibly be my favorite since it had just about every end-of-the-world scenario in it. Plus, it’s 2012… in case you forgot. Oh, and Toyota re-invented things. Time traveling babies that never poop. That was a winner too. Speaking of surprise guests, Pepsi had a nice little twist after they sent Elton John to the dungeon. And Seinfeld was thwarted by probably the most famous car lover. That commercial was almost 2 minutes! So was early released Matthew Broderick’s day off ad. While it was good, I wish they kept a lid on it til game day. M&Ms… it’s that kind of party. John Stamos learns not to tease a hot girl with yogurt. And I loved the Audi that vampires will learn to hate. I applauded that one. But the true winners last night were the dogs. Most of the top rated commercials on Hulu featured dogs. I loved them too. I still feel like this guy after that Fiat commercial. Click to see EW.com's list.